Patagonia had been on my bucket list from the moment I learned it existed. Acres of unspoiled nature, the famous towers, wild puma, glacial lakes, and herds of Guanaco. 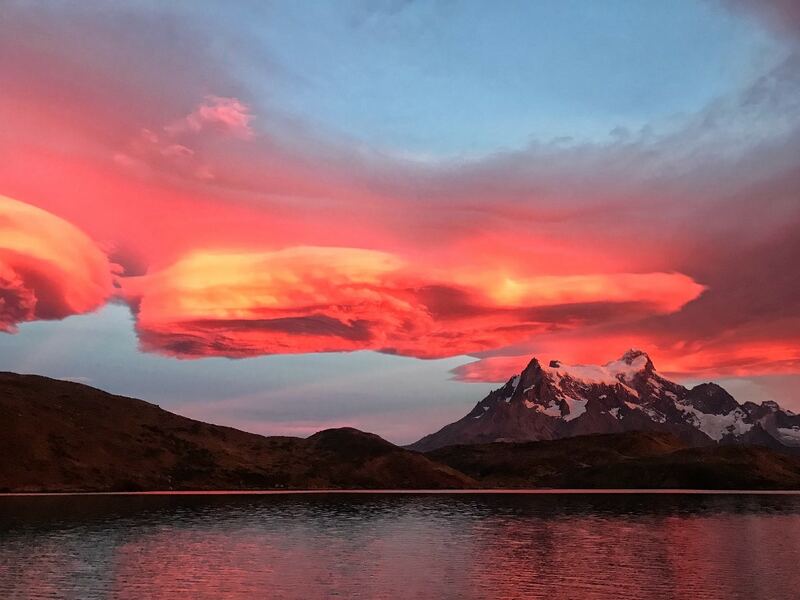 The remote location of Torres del Paine makes it difficult to get to, and therefore it is not a popular destination of tourists or locals – but a dream of many avid hikers and people who love the great outdoors. You’ll see as soon as you start researching this destination that visiting this part of southern Chile requires a lot of careful planning. 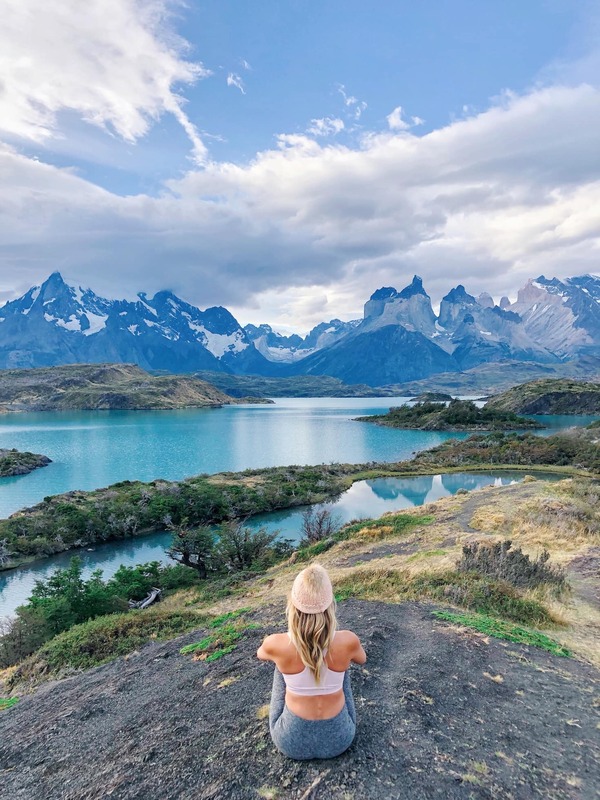 There are some key things I learned that I can share with you to help make your trip to Torres del Paine perfect, from what to pack to where to stay, to how to get around! 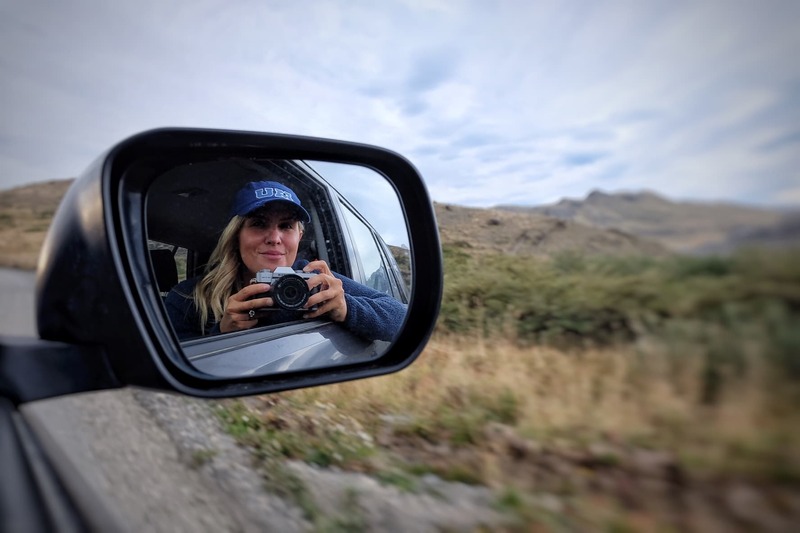 As we drove route nine for miles without passing another soul, I realized that renting a car for Torres del Paine is definitely not the popular choice, but I was so glad we had done it. Most people have private transport offered by the hotel or take the local bus from Punta Arenas. While these are easy options, I found the freedom of a car was really important to experiencing the area fully. There are a few cool things to see on the drive to the park, and it’s nice to be able to stop and do them. Puerto Natales (about three hours en route) is an adorable town where you can stop for lunch, stock up on any last minute food or apparel needs prior to entering the park, and visiting the famous Muelle Historico sometimes full of penguins! If you are staying outside the park, a car would be essential to getting around and exploring for those not looking to backpack and camp out. 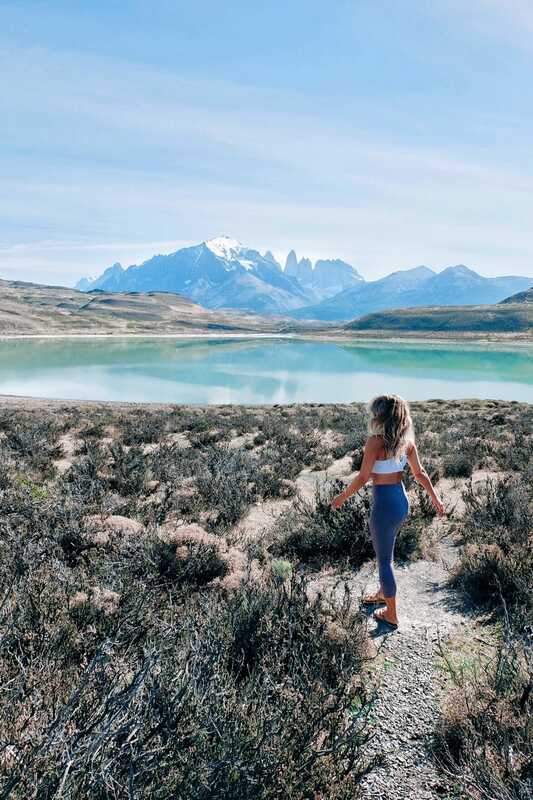 Once you are in the park, you can use it to get to hiking trails, lakes, and puma sightseeing spots on your own outside of planned excursions. There are a few companies inside the Puerto Arenas airport that offer rentals. Be sure to request an automatic car ahead of time if you need one, as most cars are manual, and to get a car with four-wheel drive. The last gas station you will pass that is guaranteed to be open in is Puerto Natales, so make sure you have a full tank when you leave there. Bring an extra can of gasoline with you since there is not a station in the park. When was the last time you sat in a crowded restaurant, looked around you, and not a single person was on their phone? 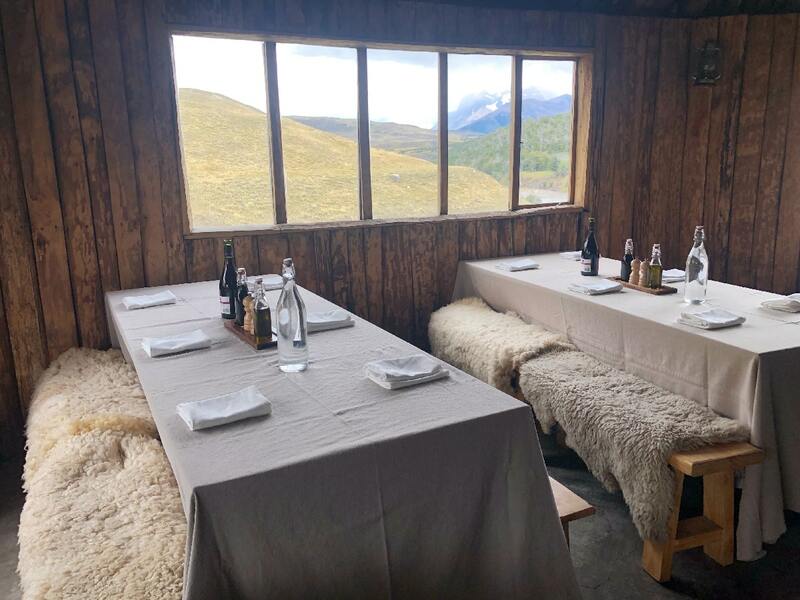 For me it was this spring, eating crispy octopus and sipping a glass of Chilean Cabernet at Eco Camp in Patagonia. I was dining a geodesic dome under the stars with a view of the towers, and couldn’t help grinning at the room of people fully engaged and actually talking to each other dinner. These words appear on the back of the t-shirt in the welcome center, and you quickly realize there couldn’t possibly be a better way to describe the feeling of staying here. Some places actually enhance the magic of where you and help you connect to it deeper. Patagonia is the true, desolate outdoors. There’s no gas stations, no cafes, and often no people for miles. It’s a landscape that is meant to be experienced outside, not inside of a hotel. But if you’re not up for refugios or traditional camping, Eco-Camp is a fully sustainable way to experience Patagonia. 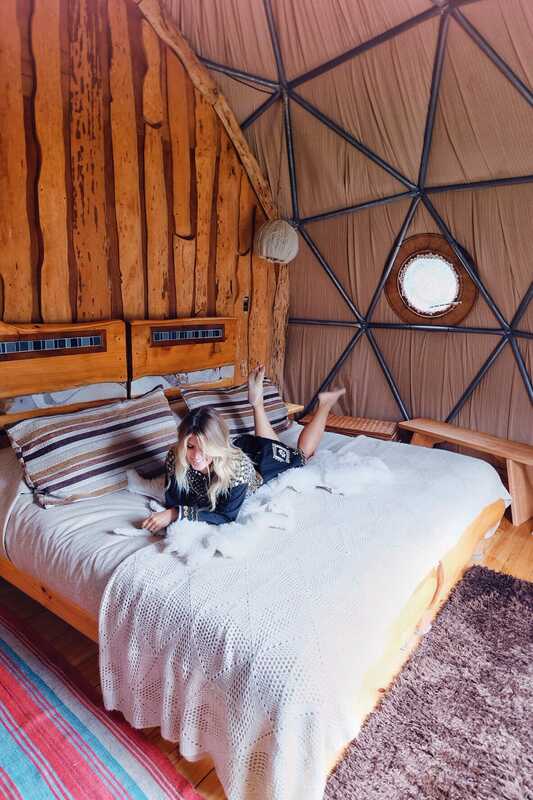 They offer three levels of accommodations – from shared, communal domes to private dome suites. 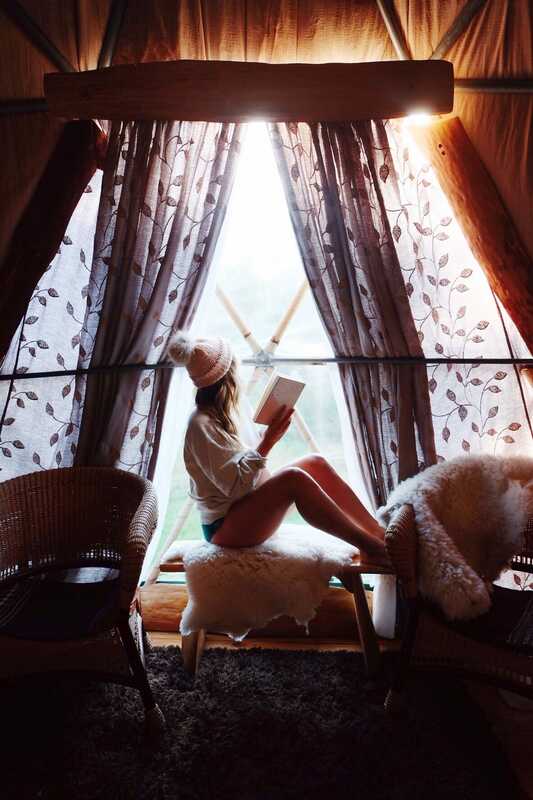 But regardless of what type of bed you book, the magic of camp with comes it. The entire camp is fully sustainable, run off a combination of river and wind power, the full camp of seventy-five guests’ footprint in one day is equated to a family of six in the United States. Each day you have a choice several guide-led excursions to join, and while your group might start the day as strangers you return to the camp as friends. From French filmmakers to retired heart-surgeons, to hilarious English newlyweds – Eco Camp draws a special group of people, and the forced digital detox means that no one is on their phone. It gives you a chance to connect with yourself, with others, and the nature around you. 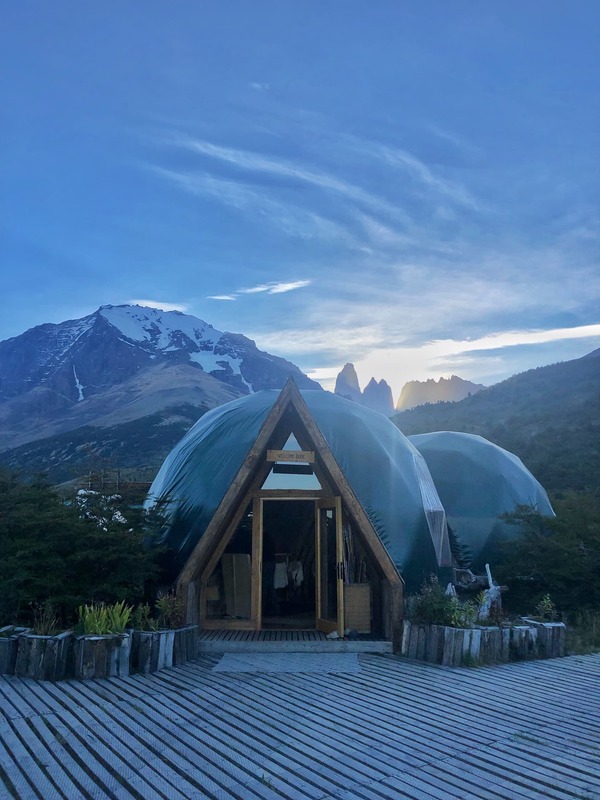 The domes seem like an extension of the land and are connected by wooden walkways that lead you from the welcome dome to yoga class, to the bar. This makes it so that you are always outside, and in that minute you might just pass a fox, or catch the sunrise. 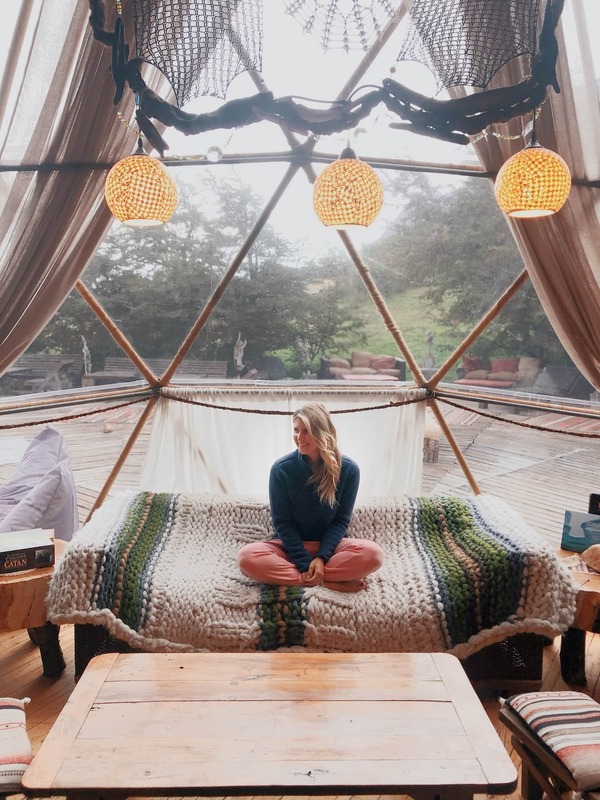 Each dome is decorated like a bohemian dream, with globe lights and sheep-skin throws, knitted blankets, fireplaces, and cozy bean bags. You can’t beat the location since at all times you have a clear view of the towers. You get to admire them sipping your morning coffee, or watching the sunset with a pisco sour. I stayed at three different hotels during my trip, and this was by far my favorite. It’s not one thing I can pinpoint but the perfect combination of a hundred little things that will carve a special place in your heart for Eco Camp. When you arrive in Punta Arenas, chances are you are going to be starving. Most flights depart early morning from Santiago, and since the park is a five-hour drive from the airport, it’s important you get a good meal. A local tipped me off about Kiosko Roca, telling me I simply could not come to Patagonia and leave without eating choripanes and leche con platano. I wasn’t sure what either of those things was, but I never pass up an opportunity to try something unique to the culture. When I arrived to find a line of locals out the door, I knew it must be good. Kiosko Roca opened in 1927 and hasn’t changed much since. For about $1.80, you can get a choripan; like something you will like – but trust me, you’re going to want four of them. The line goes fast so wait for a table at the bar to truly experience the place, but if you are in a rush they do offer to take away orders. They also serve other sandwiches: chorizo and cheese (choriqueso), just cheese, and very strong coffee! I recommend a splash of banana milk in it for a delicious combination. If you are staying at a hotel inside or outside the park, be sure to ask if they offer a barbecue lunch. Both the hotels I stayed at did, and aside from just the enjoyment of a delicious lunch, it’s a look into their culture. It can be quite a feast with a whole roasted lamb, chicken legs, sirloin steak, an entire Chilean salmon, roasted veggies, and even homemade empanadas if you’re lucky! 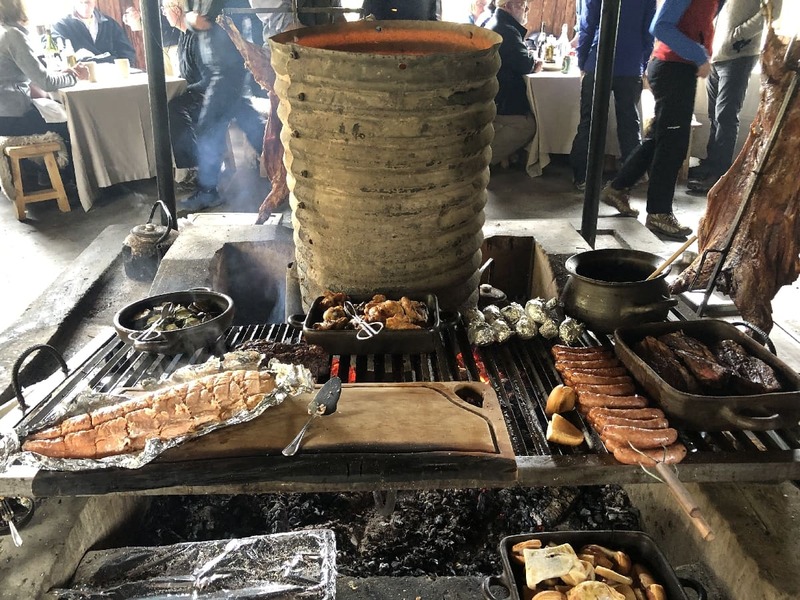 You will likely be at the home of a Gaucho or in their company, so take the chance to talk to them and ask about their traditions while sharing a meal. One of my favorite travel tips is to change the mode of transportation. 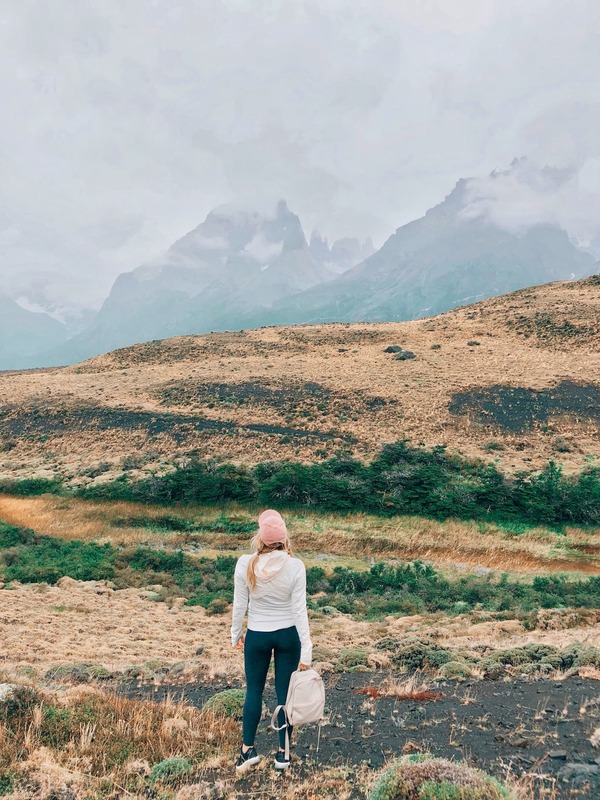 While Torres del Paine is famous for hiking, there are other ways to experience the landscape and I am a firm believer that the same place looks different when you see it from different modes of transportation. 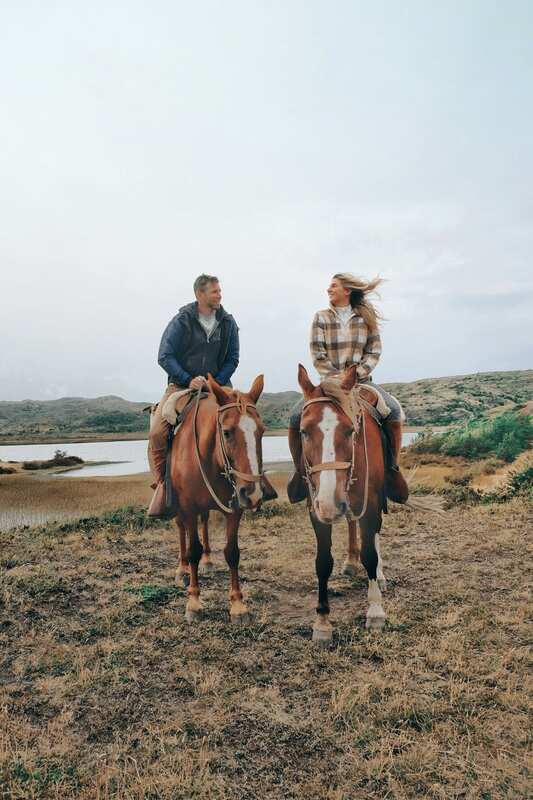 Spend a day exploring on horseback and spending time with the gauchos. The gauchos are basically born on horseback and have a connection with the animals as I’d never seen. Through most hotels in the park, you can book a horseback ride in the park and ride to beautiful lookout points. Taking a boat to the French Valley or Grey Glacier on a clear, blue day will wow you. Being on a body of water always offers a different vantage point, and the ability to float past the glacier field is very special. Use your rental car to explore areas of the park on your own. Driving around the park allow you to cover a lot of land and offer breathtaking views of the landscape. If you are looking for wildlife, there are places known for good puma sightings at sunrise and sunset you can drive to. I can’t stress enough how important it is to have the right clothing and shoes for the Torres del Paine National Park. I have been to a few destinations where a long list of gear I didn’t have or want to buy was recommended, and not having it would not have really made a difference. Patagonia is NOT one of those places. The weather is insanely unpredictable and changes by the minute. During my week trip, the nightly forecast of the following day was almost never correct, and I spent each outing in the park continuously taking layers and off while the rain, sun, clouds, and wind came and went with no reason. When you are on hikes, you are walking through streams, across boulders, and in tall grass. 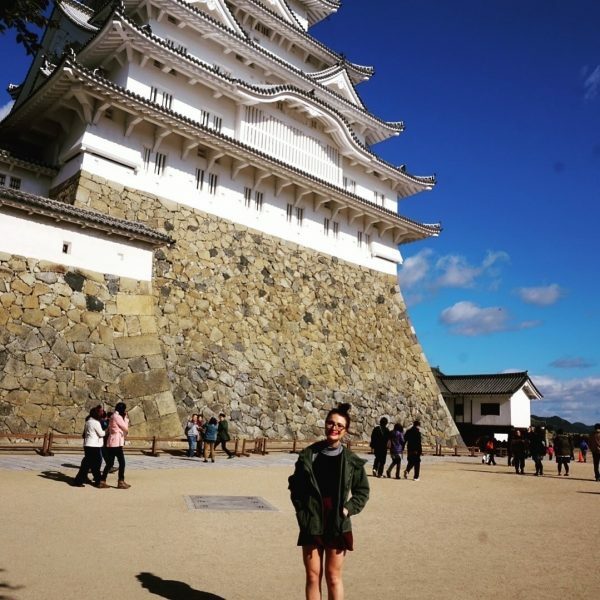 Hiking boots, waterproof and windproof layers (pants and a jacket) and a waterproof backpack with plenty of places are absolutely essential to visit. 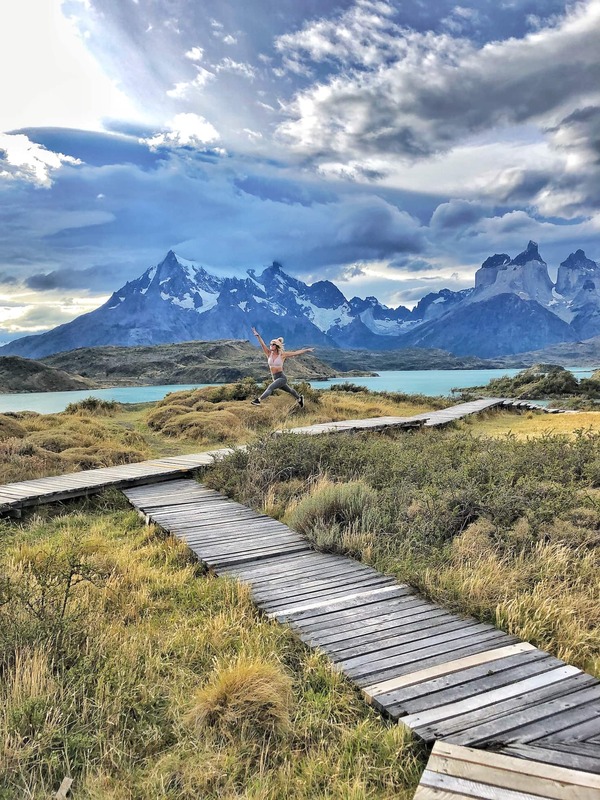 You can ask your hotel for a full list of what they recommend packing, but definitely, don’t overlook the importance of having the right gear for Torres del Paine. 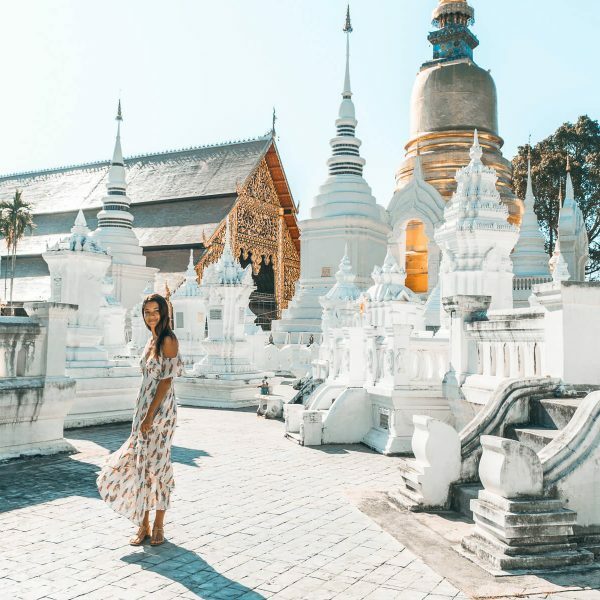 The biggest surprise when I started planning my trip was the cost. So prior to booking your flights, look into all aspects and costs of the trip and make sure you’re prepared. Keep in mind that you are in a remote, desolate part of the world that is not built up with modern conveniences. Like visiting Africa or the Maldives, this is what makes it so special and so desirable. Food in the park has to be driven in from hours away, the staff at the visitor centers and at the hotels have to live on site, and each day you are essentially on a fully guided excursion with a park expert and driver. Most of the hotels in the park offer full inclusive rates; providing you with accommodations, meals, and excursions during your stay – but that makes it rather costly. If you stay outside the gates of Torres del Paine in Puerto Natales, you can get more affordable rates on hotels and hostels, but keep in mind you are 1.5 hours from the park entrance, so your days will be more travel time and less time in the park. There are refuggios and campsites in the park, but if you are not an experienced camper I would recommend staying in a hotel. I heard from other travelers the refuggios are very rough, and the high winds in Patagonia make camping difficult. The nearest airport with several flights a day is Punta Arenas, and the flights from Santiago, Chile can get expensive and sell out far in advance. I recommend fully researching all fights, hotels, buses, etc. and making sure it’s within your trip budget. This is not the kind of trip you book a whim. The time to visit Torres del Paine is between November to March since many hotels and campsites are closed during the winter due to snow. Flights to Punta Arenas sell out in advance, rental cars and hotels book up, and flights get overbooked. Getting to the park is not easy. if you are coming from Santiago, it takes almost a full day to get to the park and depending on the times of your flights you may have to spend an overnight in Puerto Natales. 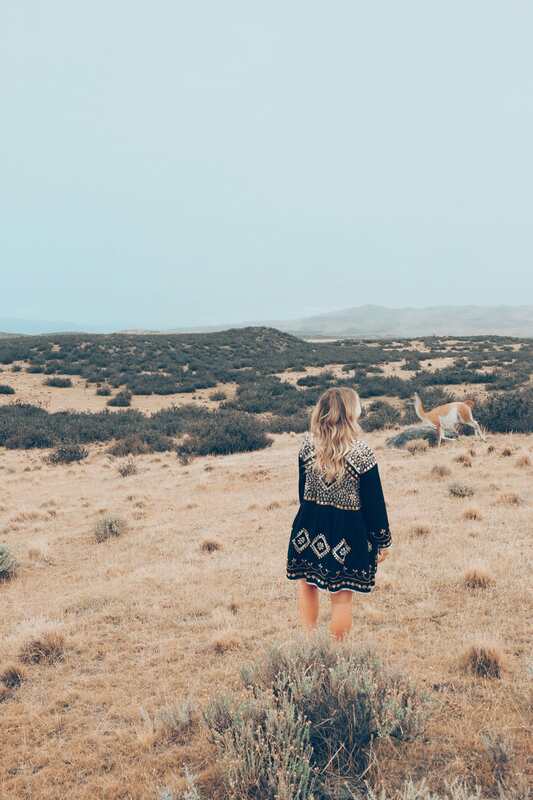 In the park, many of the popular hikes are full-day excursions – meaning you will hike between ten and twenty kilometres, and be on your feet all day. 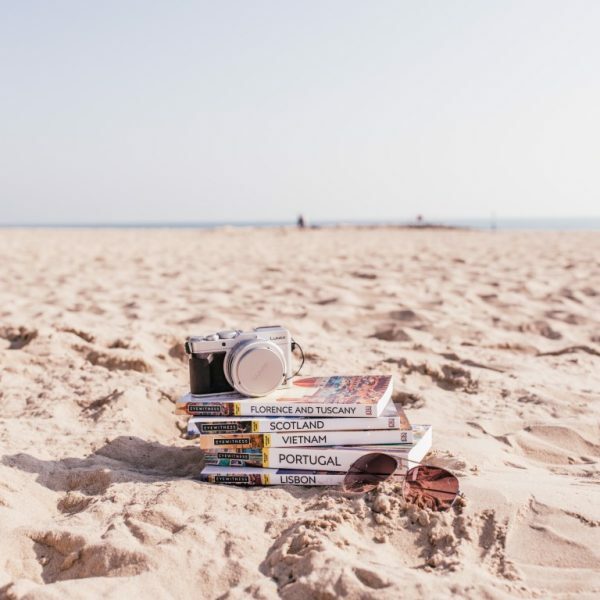 Make sure you plan for enough time to properly see and experience everything you want to do, and allow for a day of rest if needed, and then a travel day on each end. I spent one full week from start to finish departing and returning from Santiago, and I did not have enough time to see and do everything I wanted to. Be realistic ahead of time about what you want to see and how much time it will take to do it. 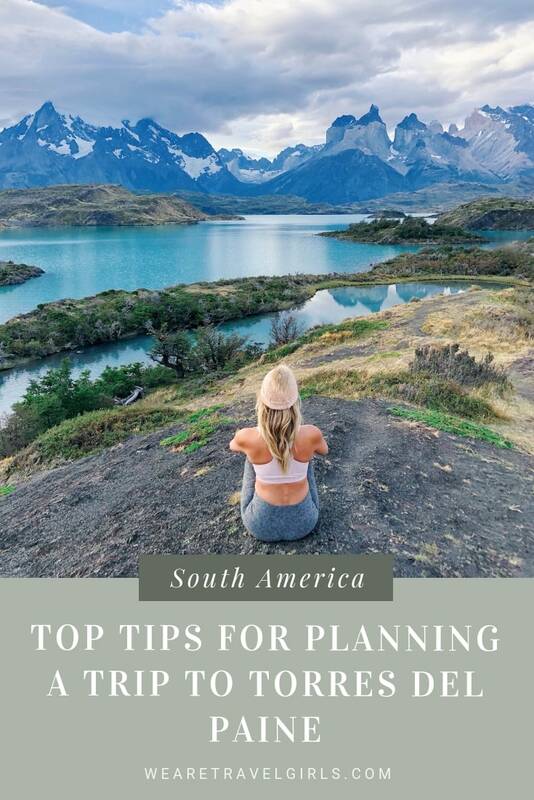 I hope these tips make your planning smoother, and that you make it to Patagonia and enjoy the magic of Torres del Paine. You will find one of the rawest, real, and breathtaking places you have ever been at the end of the world. 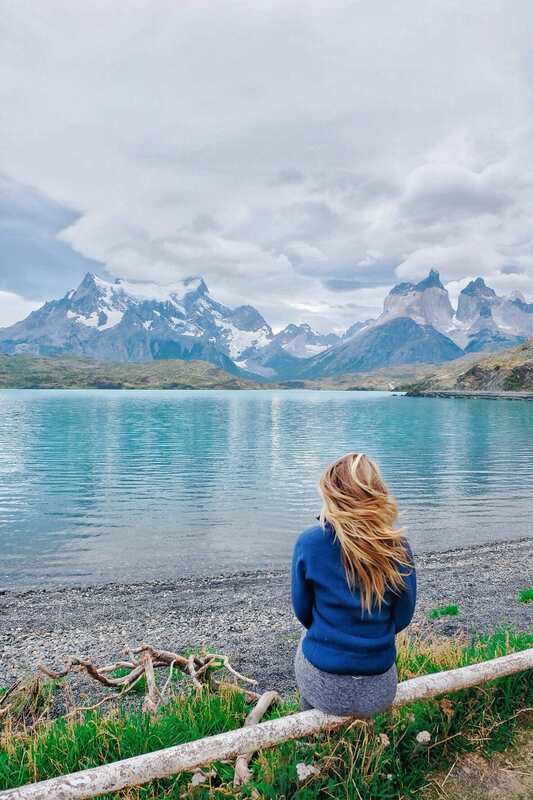 We hope that this article has inspired you to visit Torres del Paine, Chile. If you have any questions about the destination or have your own travel tips to share please leave these in the comments below.